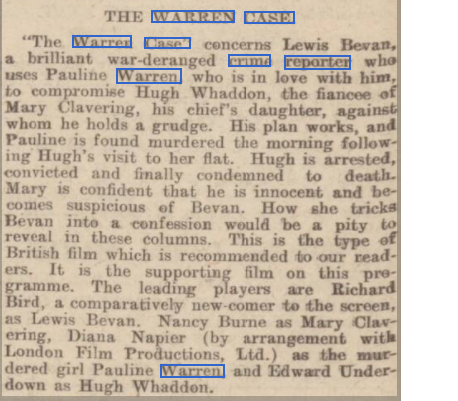 It seems from the newspaper article below that the film was re-named "The Warren Case", and according to the BFI website, Charles Mortimer is in the cast, although no mention of his role. From the Derry Journal of 7 January 1934. Walter Summers has started to produce Arnold Ridley’s Fleet Street thriller “His Last Chance” which under the film title “Crime Reporter” has a big cast headed by Richard Bird, Diana Napier (by arrangement with London Films), Nancy Bume, and Bromley Davenport. Hal Gordon and Jimmy Godden, last seen together B.I.P.’s “Happy,” have entirely different roles in “Crime Reporter.” They have, in fact, become newspaper reporters! Other well-known artistes in the Summers cast are Francis. L. Sullivan, Cecil Ramage, Iris Ashley. Frederick Peisley, Charles Mortimer, and Noel Dainton. From The North Devon Journal - Thursday 13 September 1934. 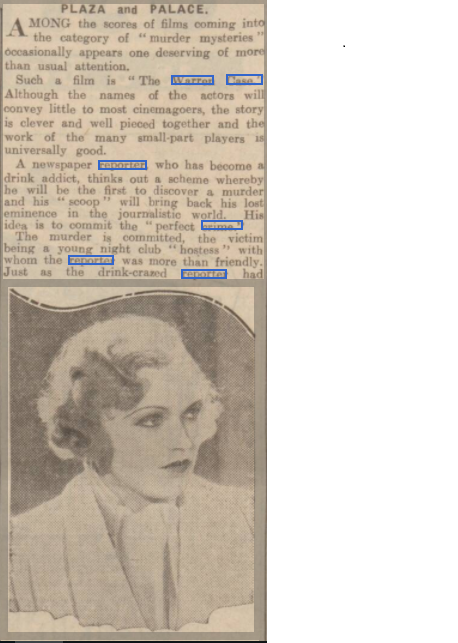 From The Dundee Evening Telegraph - Tuesday 14 August 1934. 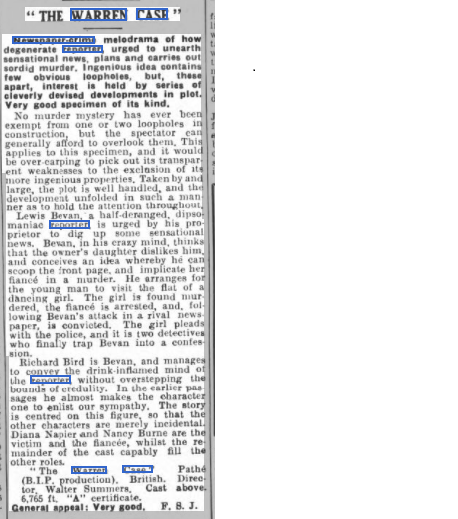 From The Era - Wednesday 14 March 1934.